The newest addition to Ilderton's skyline. A glass-fused-to-steel elevated water tank. 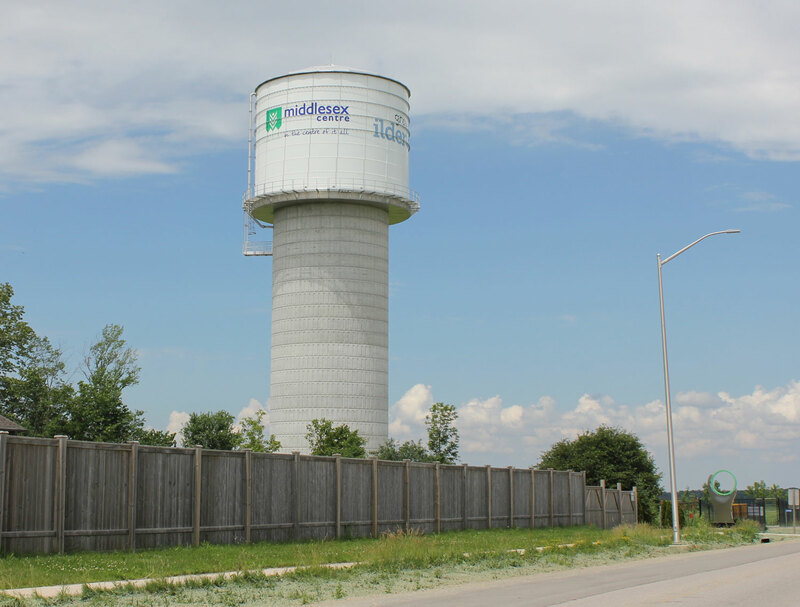 Visible far above the trees, visitors and residents of Ilderton, Ontario, will be guided into town by a new 40-metre tall elevated water tank, emblazoned with the municipality of Middlesex Centre’s logo and the community’s name. 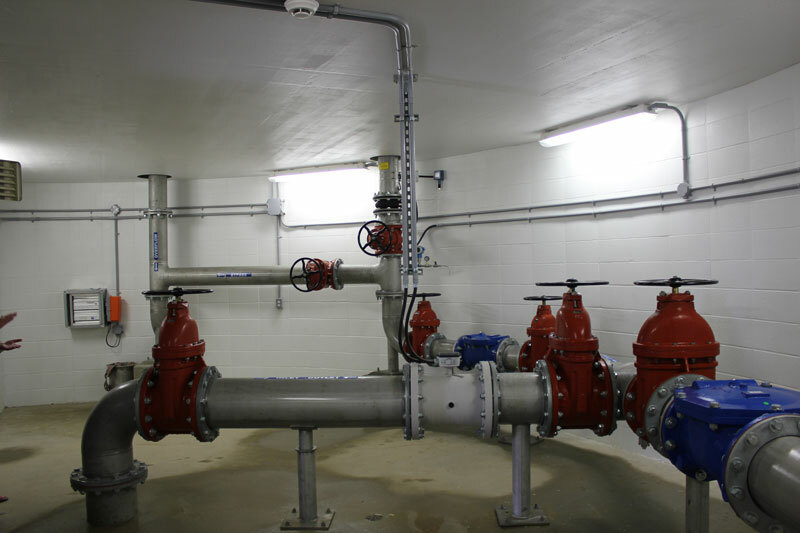 Built to improve the town’s water security in the event of a water main break and handle the municipality’s growing population, the tank’s 2,000 m3 capacity is capable of sustaining Ilderton’s water demand for up to six days. The town’s population is expected to reach 5,000 by 2030 and a number of developments are in the works. 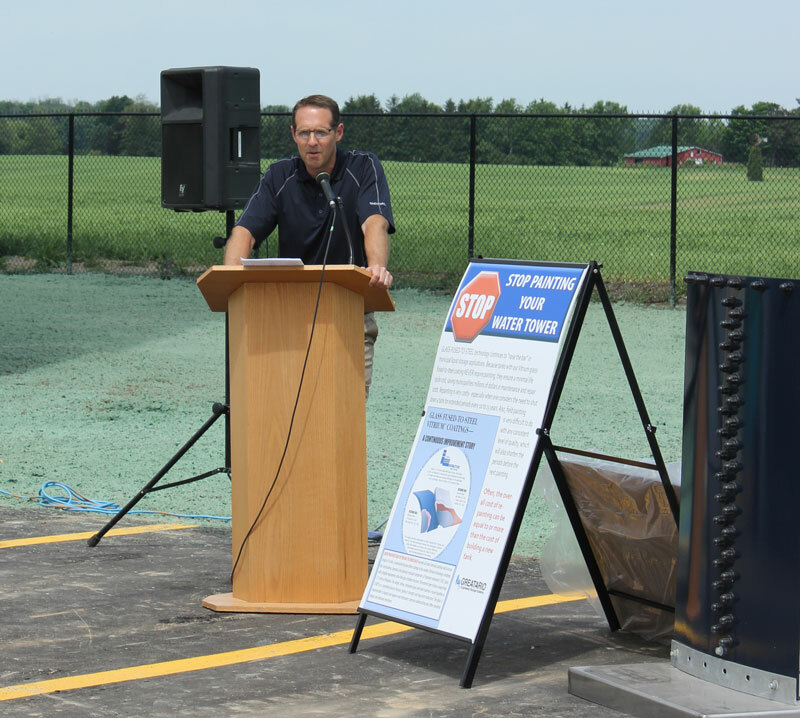 Scott Burn, president of Greatario Engineered Storage Systems, speaking at the company's Ilderton water tank open house. Al Edmondson, Mayor of Middlesex Centre. Monte McNaughton, Member of Provincial Parliament for Lambton-Kent-Middlesex. Bev Shipley, Member of Parliament for Lambton-Kent-Middlesex. The elevated water tank's heated pipe room. Built by Greatario Engineered Storage Systems, the glass fused-to-steel tank will never need repainting, saving approximately $1.6 million in maintenance costs over a 60-year lifespan. 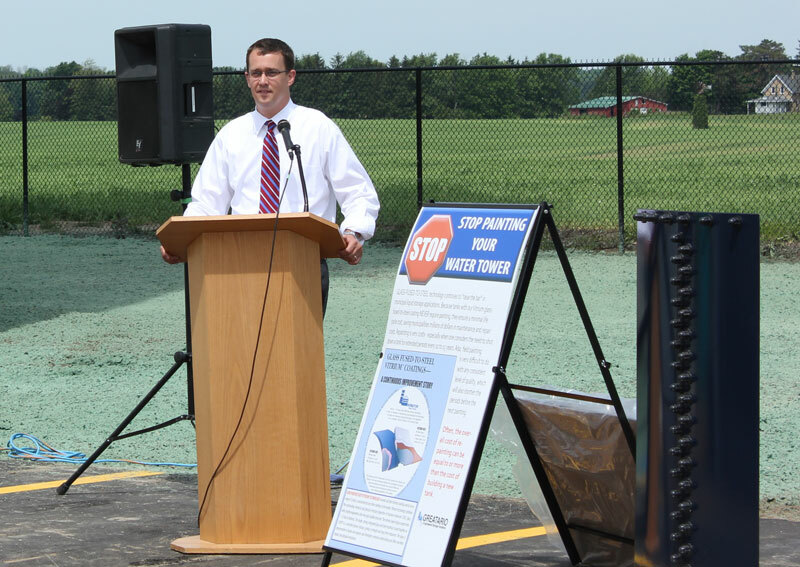 This savings combined with the capability to increase the tank’s capacity, met the project criteria outlined by the municipality and Stantec Consulting. “We really focused on needs of the community 15 to 20 years out,” said Nelson Oliveira who is with Stantec. 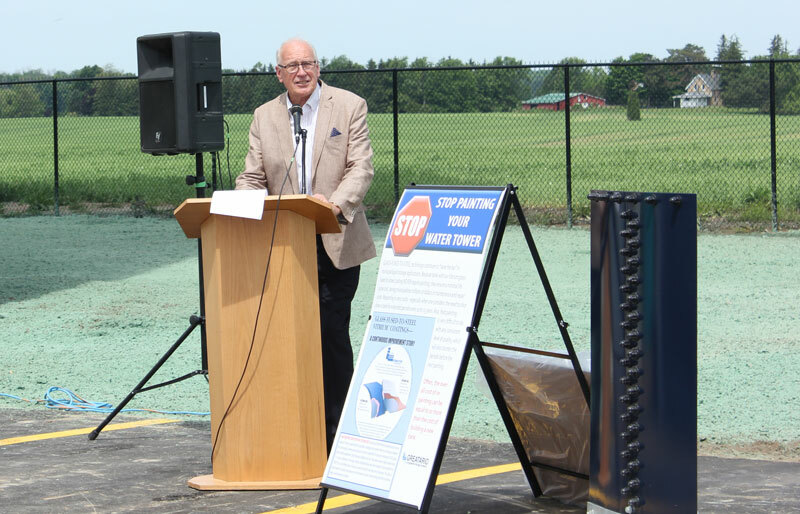 Members of both provincial and federal parliaments, as well as Middlesex Centre’s Mayor Edmundson attended an open house for the water tank hosted by Greatario. 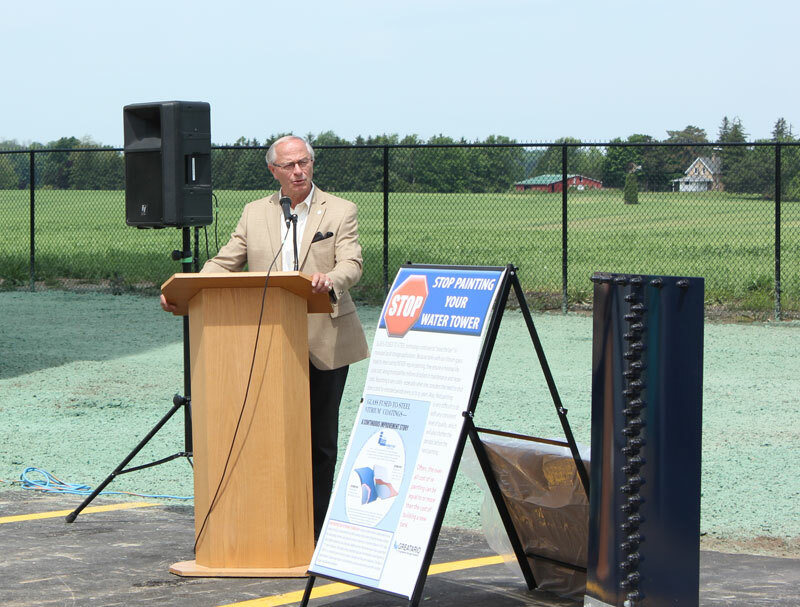 Monte McNaughton, MPP for Lambton-Kent-Middlesex, thanked the Ontario government for its $2 million contribution to the project. The remaining $1.2 million was paid for by the municipality of Middlesex Centre. Peter Davey is the assistant editor of Environmental Science & Engineering Magazine.